Payroll penalties and errors are the worst examples of mismanagement in business. Nevertheless, getting correct payroll could be a troublesome task for small business owners. Since most of the payroll solutions that are available online are prepared with respect to large business organizations, they somewhere tend to ignore the idea of ‘flexible ‘scalable requirements. Thanks to the concept of payroll outsourcing- the idea of effective costing and proper functioning of HR capabilities was never so convenient before. When an organization decides to outsource the payroll process, they choose a professional firm to make the process more efficient and powerful. The decision is beneficial because it not only saves the ‘much-valued’ business time but also ensures detailed solutions at an affordable cost. You can avoid the unnecessary wastage of your staff’s time that they could otherwise utilize on core business operations. While handling the payroll process, there are a couple of taxes such as the federal, state, and local employment taxes that are required during the filling of payroll paperwork. If not done in a systematic manner, the business can face direct liabilities and penalties. Do you know that about 40 percent of small businesses pay penalties due of erroneous payroll filling? Yes, the report is shared by IRS! Thus, to avoid anything like this, it is better to outsource payroll for accurate filling. 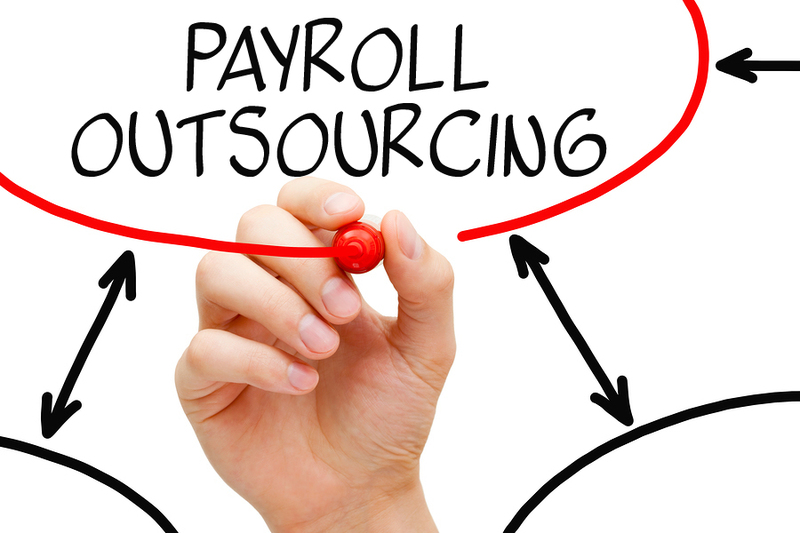 From direct deposit to the overall security, payroll outsourcing is all about ensuring quality in solutions. Imagine a situation where you are manning payroll internally. You might have analyzed the undue importance of offering direct deposit- a situation where you can completely avoid visiting banks!Some outsourcing firms ensure similar benefits of filling payroll (even though the process invites a tiresome paperwork and legwork) with ease comfort and security. Counter the risk of identity theft, embezzlement of funds, mishandling of company’s crucial tax records, and so on with the help of a professional payroll service. When you can simply get quality results with the aid of a professional payroll service, then what is the point of being a jack of all trades? Share your business load with a professional payroll outsourcing firm, file your tax with all the required details, avoid the hassle of calculating payroll manually and go hand in hand with the fresh dose of technology- this is all that the payroll management of your small-scale business needs.